Twelve years ago, a conversation with my then-boyfriend turned to the Mormon ideal of husbands presiding over wives. I couldn’t understand why such language was necessary in a relationship of equals. My boyfriend speculated, among other things, that it might simply mean that the man was ultimately more responsible for the family’s success than the woman. We explored that idea for a bit, but the more we talked about it the sicker I felt. As this dark feeling came over me, I first articulated to myself a truth I would later often return to: that I am fully human, fully responsible before God, an agent in my own right, and an equal partner in the truest sense of the word. My future husband would need to see me as such for any marriage to survive. And God must see me as such as well. As a person who insists on the inherent equality of men and women, I continue to have questions about women’s place in Mormon theology and in the structural organization of the Church. Thankfully, I have found in that boyfriend a husband who honors me as equal partner, but women’s subordinate position in the LDS Church organization and some teachings is something that, unlike my marriage, I cannot reformulate. I forthrightly admit that I hope for change. I also rejoice in the questions that my Mormon sisters interested in issues of gender bring to the table. Whether their lynchpin issue is Heavenly Mother, women’s ordination, the raising up of women’s voices, gender roles, or increased opportunities for women, I affirm the importance of asking these questions. Like Sister Joan, I feel a deep sense of responsibility to raise my voice, ask my questions, and in so doing, encourage my fellow Mormons to do the same. These are vital issues we raise, ones that have to do with the eternal identity and destiny and worth of half of God’s children. While these questions are of such immense weight and importance to me, I have the sinking feeling that the vast majority of Mormons don’t think much about it. But when that branch eventually breaks and the woman’s question is seriously addressed and honored by both leaders and members, I have every hope that opportunities for women’s contributions will abound, and that our Church family will be all the healthier, all the more vibrant for its breadth and expansiveness. Seeing my Mormon sisters likewise feel such responsibility to raise their voices and ask their questions evinces to me a healthy vitality. Just as the biblical metaphor of the body of Christ insists on the place and importance of everyone in the Church, I believe in the importance of a multiplicity of Mormon women’s voices. There is a robustness, a dynamism, a health in an institution that can accommodate heterodox voices, and that same heterodoxy enriches and adds vitality to the world of Mormon feminism. Mormon feminist Lorie Winder once articulated to me the importance of a spectrum of voices in the Mormon feminist movement. Because of women like her who advocate for women’s ordination and other significant redirections, they have created space for other Mormon feminists to appear moderate. She and her cohorts helped define the outer limits of the movement, thus creating space for those in the middle to raise their questions and not be automatically dismissed. I likewise affirm the position other Mormon women interested in issues of gender take. These are women who may not feel a desire to reformulate the gender hierarchy within the Church or commune with Heavenly Mother, but they attend their church council meetings or board meetings and work on a congregational level to keep in mind the needs of the women. They might not label themselves as such, but I think of these women as stealth feminists, and goodness knows, the Church and Mormon feminism need them and the work they do as much as those who ask the larger questions and advocate for more sweeping changes. For me, the beauty and power of Mormonism rests in its open canon and its belief that any human can approach divinity and come away enriched with revelation. As my friend once said, this is the gospel of progression, and this is the church of progression. Things will change. I hope that my Mormon sisters and I can contribute graciously and generously to the conversation, as we work to uplift and empower all humans in our fold. A Mormon feminist, Caroline is completing her coursework for her Ph.D. in religion with a focus on women’s studies in religion. 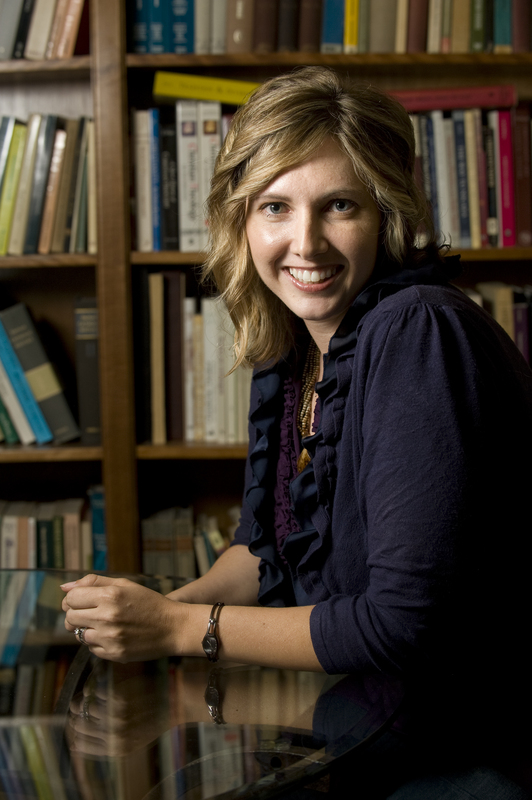 Her areas of interest revolve around the intersections of Mormon and feminist theology and the study of contemporary Mormon feminist communities. She is the co-founder of the Mormon feminist blog, The Exponent. OK, I’m gonna bring a storm down on my head, but I have to say what I have said before: ALL the religions of the Book, and their offshoots, are structurally misogynist, and NO amount of tinkering with the system is going to change this. The only way for women is out – with the possible exceptions of one or two of the more radically reformist Protestant and Jewish movements. As a once upon a time so long ago I don’t even remember anymore Catholic, I really do understand what a wrench is is to leave the faith of your childhood, of your heart, of your family. But it’s the same with any corrupt system. There were people who tried to defend slavery because in their eyes, slavery underpinned a whole way of life which it was almost unbearable to see disappear. The radical misogyny of the societies in which we live is underpinned by the thought structures developed out of Judeo/Christian/Islamic teaching. The more we engage with these structures, the more we support their continuation. We have no option, as women, but to simply refuse that engagement. The peoples of the Book have created astonishing civilisations in which there was and is great beauty and creativity as well as cruelty and injustice. But the religious institutions which once guaranteed these civilisations are no longer any more fit for purpose than the doctrine of the Divine Right of Kings is a sound basis for governing a country. The religions of the Book offer women nothing more than the comfort blanket of obedience to a tradition which will give them refuge but no dignity. Women may want to honour the ways their mother taught them, but what are they offering their daughters except more of the same ? I am not, of course, talking about anyone’s personal relationship with Christ, or any other god, simply the church/mosque/synagogue institutions within which women will always find themselves at best tolerated and at worst actively resented and disliked. Jung argued that much 20th C neurosis was a consequence of the traditional churches utterly failing to offer any kind of spiritual nourishment in a new age. As the son of a pastor who had himself a crisis of faith, he knew what he was talking about. If the churches are failing all of us, how much more acute is the position of women in particular? As feminists, and as women of faith, we will answer to our daughters and grand-daughters for the spirituality which they inherit. Starting over is the most frightening, difficult and demanding thing any of us ever have to do – at any level. Reinventing wholly new forms of spiritual expression, new structures of faith, new ways of connecting with the divine, is perhaps hardest of all, but the challenge has fallen to our time. If we fail to meet it, it will fall to our children to answer those questions which (to paraphrase Jung again) we were unable, or unwilling, to answer. Very eloquently stated. While I support every feminists right to either be a reform or revolutionary feminist (terms used by Carol Christ and Judith Plaskow) when it comes to their religious traditions, I myself had to leave a patriarchal religion as I saw no way that it could be reformed. It was very hard to do and even though I left it 5 years ago I am still struggling with finding another spiritual practice that satisfies my need for community, social justice, equality, and a comfortable relationship with the divine. However, I know that I could never go back to what I once was because while it provided established frameworks on how to commune with the divine and a community, it also deprived me of so much. I still struggle occassionally with my sense of self worth due to the years of indoctrination that came from my patriarchal religion. There is no way I could ever inflict that on a child of mine. I don’t have kids yet, but hope to, and I could not imagine raising a daughter or a son in a patriarchal religion for the harmful patriarchal norms that are conveyed while being couched in spiritual tradition. Hooray for you and Sister Joan and other women for asking questions! I think you are a very courageous woman, Caroline. As a feminist who came of age in the 1960s, I have seen what the LDS patriarchs did to the first women who questioned their authority. Sonia Johnson comes immediately to mind, a Mormon woman who supported the ERA and as a result, was excommunicated from the LDS. Her book _From Housewife to Heretic_ was an eye-opener for many. June Courage just about says it all. Sonia Johnson and her fight for the ERA was indeed epic, her later books even more radical and spectacular. I don’t do patriarchal religion or participate in groups that are run by patriarchs. They really can’t be reformed. So we have to look at what the reasons for women’s compromise and subservience to men is really all about. It is habit, it is the lock box of heteronormative family life, women’s weakness for crumbs rather than liberation. Women’s weakness and belief in things they grew up with and remain stuck in. Religion is a childhood indoctrination system, and if you think of early childhood development, the power of this is monumental. It takes a big jarring realization in adulthood to fully shake up childhood conditioning in my opinion. Women who want to serve the patriarchal religions are legion, obviously they get something out of being second class citizens. All have one thing in common…. they were indoctrinated into this belief system as children. One thing I have always loved about radical lesbian feminism, is that no woman I have ever met who lives this philosophy ever grew up in it! It is a chosen radical way of life about freedom with no compromise. Sonia Johnson writes very well about how she gained her freedom. But you do have to create new things to replace old things. And this is not easy to do if your labor is being co-opted by patriarchy, and the whole point of patriarchy is to steal as much women’s labor as possible and to overload women with tedious tasks while the men continue rule. Tedium is patriarchy’s best friend, and all the male supremacist religions are expert at co-opting and getting free labor from women. Women keep the machine well oiled and functioning. Whether they go to a Catholic church, a Mormon church, a Temple…. it is the borg of patriarchy. How do you escape early childhood indoctrination? One way is to live in a different country and learn a new language. Another way is simply to have no sexual attraction to the oppressors; a big advantage. Another way is to create communities of liberation for women, and to be in woman created places. Unfortunately, I’ve met a lot of women who because the heterosexual system failed them, then they woke up then. Women in their 50s, they get cancer, the husband dumps them for a newer model, the money gets screwed up, they wake up. I’ve worked with over 75 women who’ve gone through this in the last five years. It is fascinating how predictable this scenario is. A more fortunate outcome would have been if they hadn’t wasted most of their life in the belief in the heterosexual system and its economic benefits, which are legion. To live on male income AND a living women make is deceptive, because the real economic social benefit is being on the man’s arm at the male dominated church. It’s the heroin or the crystal meth of patriarchy. Every one of those women left the church of origin after this life changing event. They went out on a search, they survived cancer, they wake up and they learn a valuable lesson about patriarchy. Patriarchy is its most seductive to young women… under 50, churches are their most seductive to children. There is no real reform of these patriarchal places, only collaboration, and women in patriarchy who actually live under the same roof of the oppressors are the ultimate in the colonized lands of male supremacy, and the churches that worship this way of life. Any other explanation is simply wishful thinking or patriarchal mind bindings. When I walked away I never looked back, now it is hard to believe I ever believed some of the things I thought I was suppposed to believe. I lost community, but I never lost my right to my own spiritual experience. It’s funny how you can just walk away and never look back, how easy it really is. Again, I chalk it all up to to what degree women really want freedom, and how tied they are to male supremacy. The less social ties, the easier it is. And lesbian nation is an international community free of live in oppressors, so that’s a whole “nother” story.